Thick & Tight, an award winning dance duo like no other, bring all the drama, musicality and face you can cram into a show. Using their skills as choreographers, performers and lip-syncers they seek to create the most entertainingly bizarre and brazen pieces that embrace the breadth of human emotions. This rapturous triple bill from founder-artistic directors Daniel Hay-Gordon and Eleanor Perry brings famous faces to life to reveal the yearnings and imperfections of human nature. 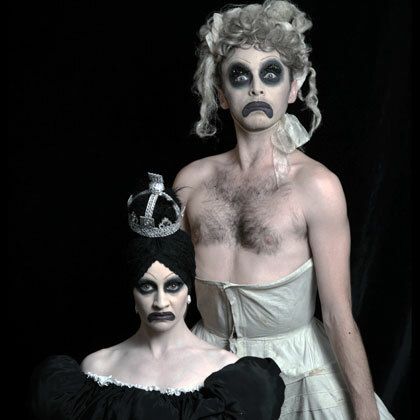 Queen Victoria & Miss Havisham mourn their losses in a monstrous modernist ballet, Queen Have & Miss Haven’t; Marilyn Monroe and Princess Diana are dogged by fame and beauty in The Princess & the Showgirl and dancer Julie Cunningham (ex-Michael Clark and Merce Cunningham companies) becomes artists Claude Cahun and Marcel Moore in Thick & Tight's new solo, Radical Daughters. Daniel and Eleanor met at the Rambert School. 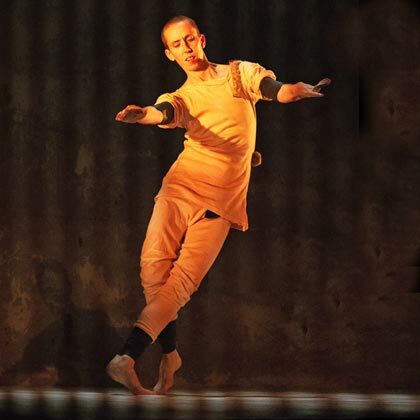 Their work has been acclaimed at venues and festivals across the UK and Europe. "Original, inspired and fantastically talented"
"Clever, naughty, innovative and punchy"
Supported by Arts Council England, South East Dance, The Marlborough Theatre, Ugly Duck, Steyning Festival & The Royal Hippodrome Theatre Eastbourne.